Finally got round to writing a review of this pub. 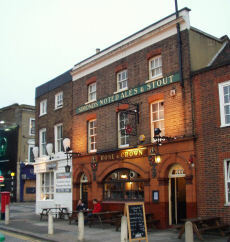 Moved to London in September and this pub rapidly became my favourite: good beer (7 handpulls, with a view towards getting 2 more), very pleasant staff and landlord, and a decent clientele. Don't agree with some people that it should do food. I think it'its character as a traditional boozer would be undermined if it became a foody place. Just moved into the area and what a find! Pretty much everyone that lives in the Old Town seems to drink in this pub. Very friendly very well run and after only a couple of weeks I'm made to feel like a regular! Downsides, well it's not cheap and no food. All in all the best pub in Clapham. 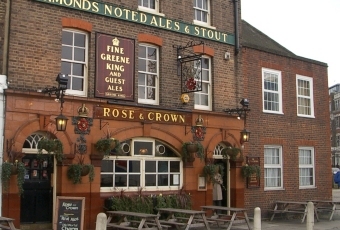 Popped on on way thru to Highgate, much better than my last visit, beer in good nick, male staff no ditzy girls so not much to look at but good beer and service, nuff said. Rocked in here on Saturday night after a day out in the sun to celebrate our mates engagement. Brilliant pub. Service was quick, ales are great (loved the selection of summer golden ales on offer but i think they got lucky with the weather) and the ladies polished of a fair few bottle of the house white which they remarked as pleasant. A special mention to the gents behind the bar who served us jaegar bombs non stop for 45 minutes. They served us with good grace despite our drunken heckling and still managed to keep an eye on their other punters. Hopefully they'll welcome us back as I plan to have a big one coming up to xmas. 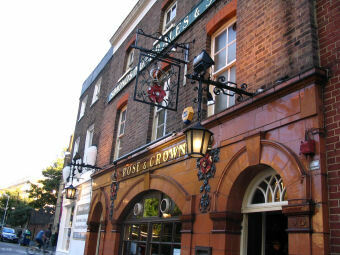 Great pub and I cant recommend it highly enough. Cheers for the shots!